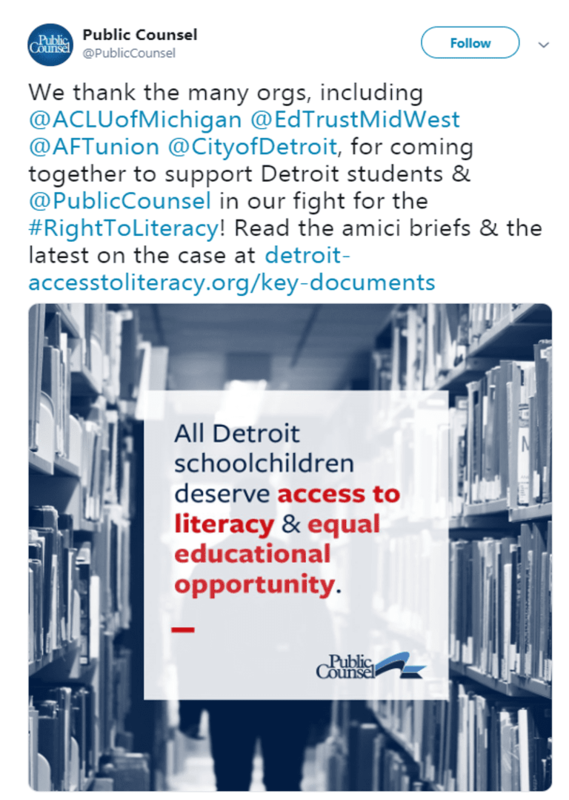 Last week, we joined with advocates throughout Michigan and across the country in supporting the right of Detroit students to have access to a quality education. All schoolchildren deserve access to literacy and equal educational opportunity. 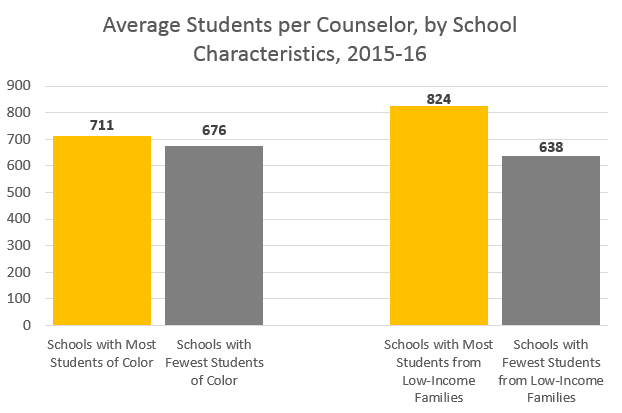 But as in so many communities of color, students and life circumstance were blamed for underperformance, instead of the systems that chronically fail to meet the needs of students of color and students from low-income families. When given the opportunity, support and tools to do so, all students can learn. We should expect nothing less. 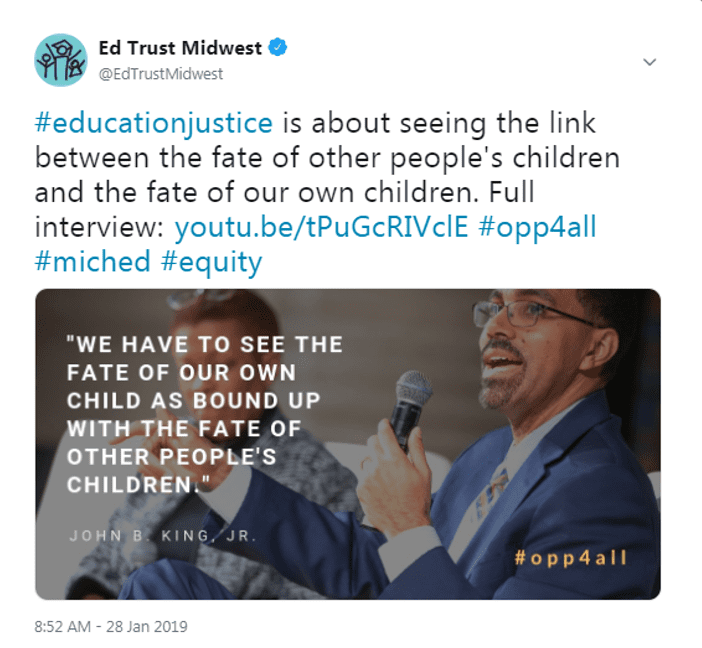 Read The Education Trust-Midwest and The Education Trust’s amicus brief here. Chronically changing state testing over the past several years has been disruptive for students and teachers. Leading education states demonstrate the critical importance of good data and its role in improvement strategies. Michigan’s continued assessment churn is undermining important implementation and improvement strategies. Unfortunately, the Michigan Department of Education has decided to change student testing in Michigan once again this year, moving from the M-STEP to the PSAT for 8th-grade students. 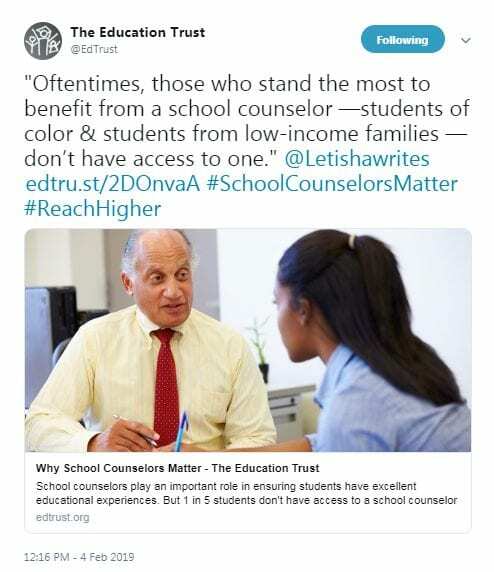 This change will disrupt the reliable use of data in decisionmaking and puts the focus on a college prep exam, rather than critical thinking, problem-solving and communication. For Michigan to become a top ten education state, we have to work together, applying best-practice and research. Continuing with a fragmented approach will only continue the status quo and Michigan’s status as an underperforming state. Read the full statement on PSAT here. The Michigan Legislature continues its lame duck session this week. The Senate Education Committee will meet today at noon in room 1300 of the Binsfeld Building to consider Senate Bill 1209 (Pavlov – R) regarding medical benefit plans and allocations. The State Board of Education will meet on Tuesday, December 11 at 9:30 a.m. at the John A. Hannah Building. The agenda is available here. 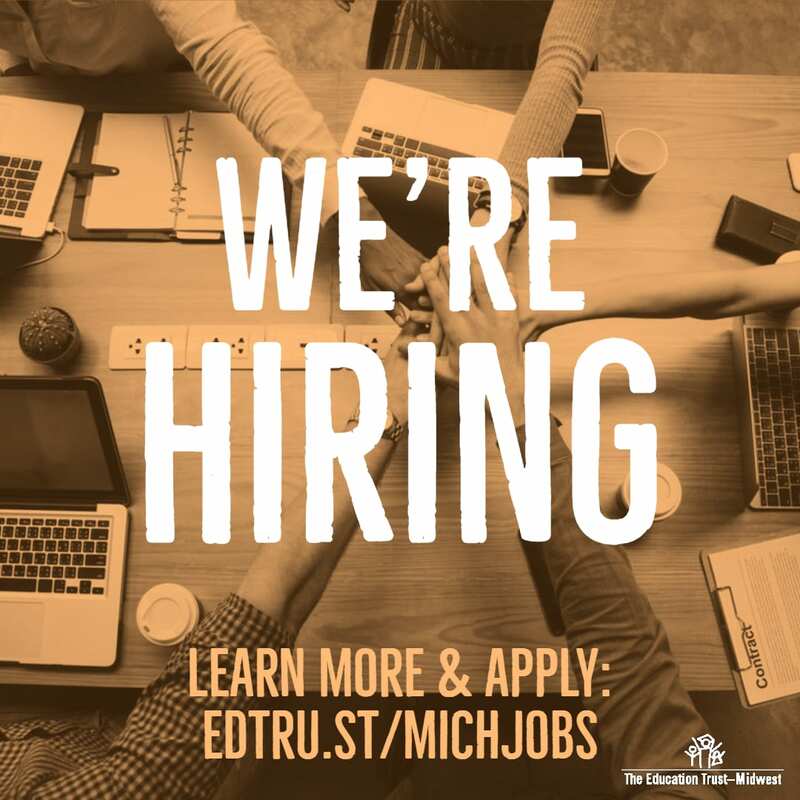 Visit edtru.st/MICHJOBS for more information on the positions and to apply.